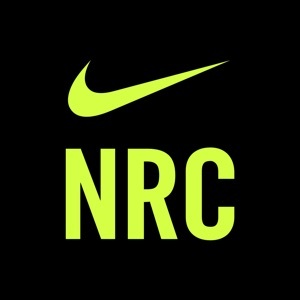 Nike Run Club: Your Perfect Running Partner Nike Run Club has the tools you need to run better, including GPS run tracking; audio guided runs; weekly, monthly and custom distance challenges; customized coaching plans for your goals; and nonstop motivation from your friends. Reach your goals and have fun along the way with Nike Run Club. - FULL APPLE WATCH SERIES 4 SUPPORT - TRACK AND STORE RUNS - AUDIO GUIDED RUNS WITH NIKE COACHES AND ATHLETES - GLOBAL AND CUSTOM CHALLENGES - PERSONALIZED COACHING PLANS - TROPHIES AND BADGES TO CELEBRATE YOUR ACHIEVEMENTS - COMPETE ON LEADERBOARDS - IN-RUN CHEERS FROM FRIENDS - SHARE RUNS WITH ANYONE SUPPORT FOR APPLE WATCH and APPLE WATCH NIKE+ Get a perfect running partner on your wrist. 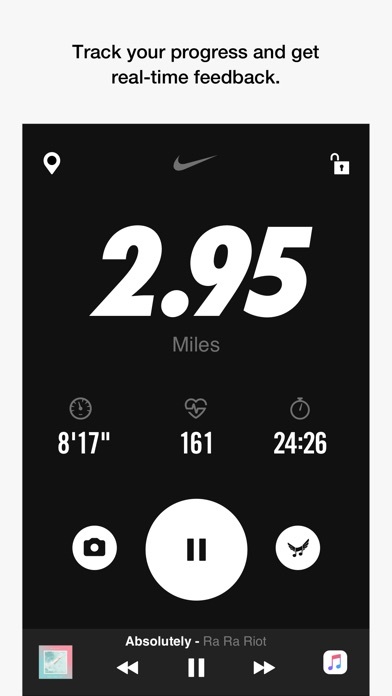 The Nike Run Club app is optimized for every generation of Apple Watch. 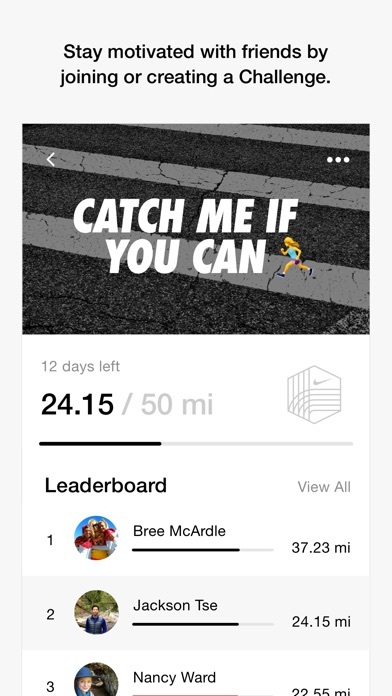 Scroll on the main screen to select a goal or start an Audio Guided Run; swipe left to customize a run or activate in-run Cheers from friends; or check out Activity History for details from recent runs. Note: GPS support is not available for the Apple Watch Series 1. TRACK AND STORE RUNS Get the details you need, including pace, distance, GPS route, elevation, heart rate, and mile splits, complete with audio feedback to keep on track. AUDIO GUIDED RUNS WITH NIKE COACHES AND ATHLETES Get guidance, motivation and inspiration through in-ear audio from Nike coaches, elite athletes and entertainers like Mo Farah and Kevin Hart. AGRs are a fun way to help runners improve strength, speed and endurance. Because the intervals are automatically marked, all you have to do is tap start and go. Each run is paired with a specific playlist, so connect to Apple Music or Spotify for the best experience. 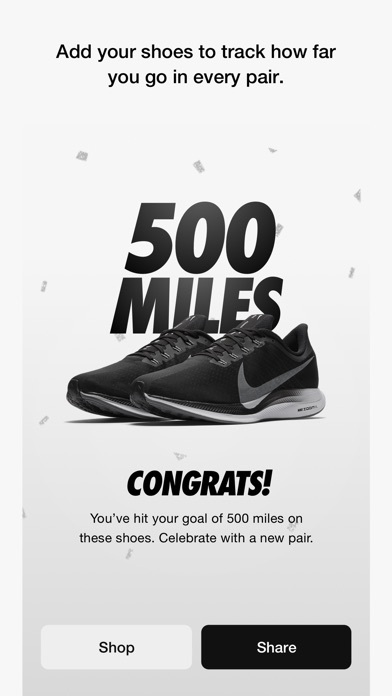 MOTIVATE YOURSELF WITH CHALLENGES Join the Nike global community of runners in weekly and monthly distance Challenges or create a Challenge and invite your Friends. Reach goals, earn achievements and go the distance. COACHING PLANS PERSONALIZED FOR YOU Whether you want to get started, get fitter or get race-ready, NRC has adaptive plans for your goals and fitness level. 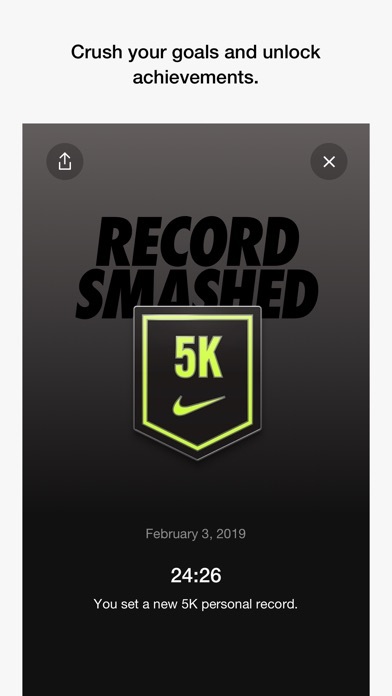 CELEBRATE YOUR ACHIEVEMENTS WITH TROPHIES AND BADGES Earn milestone badges and trophies for smashing personal bests like your fastest 5K or longest run. COMPARE AND COMPETE WITH LEADERBOARDS Easily compare and compete with friends on the distance leaderboard. GET IN-RUN CHEERS FROM FRIENDS Receive motivating in-run audio cheers from friends and send them support with cheers of your own. 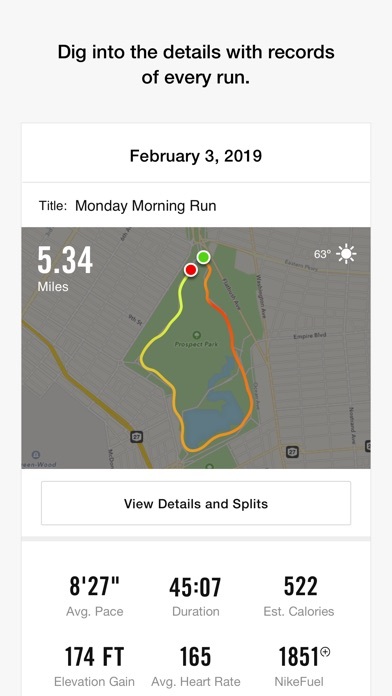 CUSTOMIZABLE POST-RUN SHARING Personalize activity posts by adding photos, stats and stickers and tailor who sees them, from everyone to only your close friends. 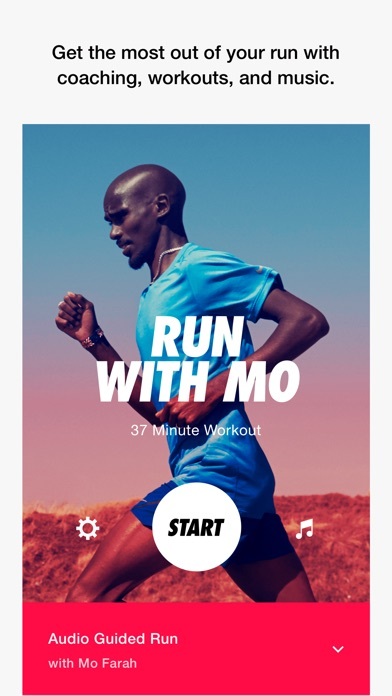 Nike Run Club works with Apple Health to sync workouts and record heart-rate data. Continued use of GPS running in the background can decrease battery life.